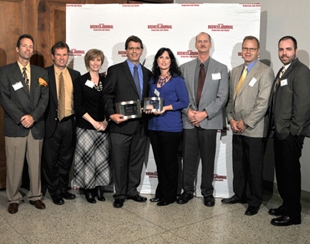 During the first-ever Dayton Business Journal Manufacturing Awards, Swihart Industries, Inc. received two awards and was honored as winner for Overall Excellence while placing second in the Innovation category. 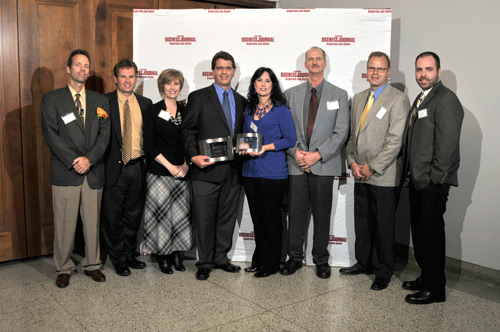 Dayton, Ohio - October 12, 2012 - A packed house filled the Dayton Masonic Center for the first Dayton Business Journal Manufacturing Awards. Seven winners were named across a variety of categories, including workforce training, exporting and community involvement. Finalists in all categories were chosen from more than 107 nominations by an independent panel of judges. The honorees represent all facets of Dayton's diverse manufacturing industry from supplying the automotive sector, to manufacturing labels, plastics and food.